Chances are, you love properties more than you love marketing them online. However, in our digital world, you must reach out and find new owners and tenants online. 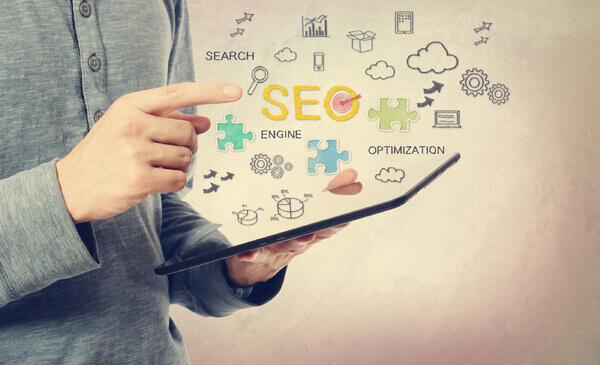 Mastering SEO and pay per click (PPC) marketing strategies can help make your online marketing pain-free for your management company. Here are 5 practices to keep top of mind. When developing your website, you need well-optimized language that draws in your desired audience. You work with multiple groups of tenants, and your SEO should speak to the needs of each niche. For example, if you work with college students, they might search for rental properties near the college. You need to ensure that the text on your website reflects this, instead of just mentioning general rental information for your area. Use local SEO to ensure that your properties show up in local searches. Your SEO needs to speak to the stated needs of your audience and target individuals in the area where you manage properties. Work local terms, such as city and neighborhood names, into the text on your website. Get a Google My Business account as well, and make sure that when people search for rental properties online, your name comes up in the local searches. When tenants are looking for information about local rentals, you want them to stumble upon your site. Create substantial content in the form of blogs, online slides, and webinars, and use these to draw in prospective tenants. Your blogs not only add SEO to your site, they also give your tenants valuable information about local neighborhoods or about renting in your particular location. Giving out this information helps establish you as an authority in your field, building trust that you're the right property management company - the one owners and tenants turn to when they need assistance. Do you enjoy social media, or do you drag your feet when it comes to posting new content? According to the Business 2 Community blog, "social media is hard and irritating. Especially when you are trying to juggle Facebook and LinkedIn and Instagram and Pinterest and Google+ and Twitter." If social media feels overwhelming, choose a single social media channel to focus on, and link your blog posts and rental information to that site. Use the social and search power of social media to help people find your content. You can also complement your SEO strategy with paid advertising. Create an ad that will run at the top of Google searches, sending you those people who are looking for a property manager or those who are looking for rental housing. Remember that these advertisements are very small, so you'll need to target those niches that you focused on before to truly hit the correct audience. PPC campaigns should complement your SEO strategy, not replace it. According to the Huffington Post, "unlike paid advertising, SEO has a lasting benefit that doesn't disappear once you stop paying." Use PPC campaigns to add an extra boost to your campaign to draw in additional owners and tenants. Property managers need to be able to focus on properties and people, not SEO. That's why you need a property management solution that works with you to hone your digital marketing and SEO. When you're looking for SEO support, contact Propertyware's team of SEO professionals. Sign up for a free tour today. Previous Article: Is It Time to Update Your Property Management Programs?